Vodafone India launched VoLTE services in three major cities in Karnataka. The services can be accessed on almost all the popular VoLTE-enabled smartphones. Airtel vs Reliance Jio: Which network is faster in India? 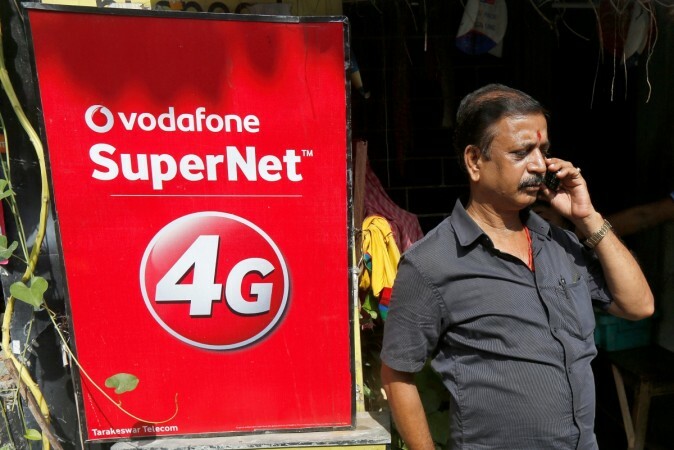 In its efforts to expand the 4G network across the length and breadth of the country, Vodafone India announced Thursday (March 22) the roll-out of its Voice over LTE (VoLTE) services in the southern Indian state of Karnataka. The VoLTE services have been introduced in three major cities in Karnataka including Bangalore, Mysore, and Belgaum and more cities expected get the services soon. With this launch, Vodafone customers can now make voice calls over Vodafone's data-strong network and enjoy HD quality crystal clear voice with super fast call connect. Voice over LTE or VoLTE enables users to make calls over the 4G data spectrum, thereby enabling HD quality voice and super fast call connect times. Vodafone's VoLTE service is accessible to Vodafone SuperNet 4G customers with no additional charges and all calls will be billed as per their existing plan or pack benefits. Vodafone's VoLTE service can be accessed on almost all the popular VoLTE-enabled smartphones. You can find the complete list of smartphones compatible with Vodafone VoLTE here. Announcing the launch of its VoLTE service in Karnataka, Amit Kapur, business head – Karnataka, Vodafone India said, "We are delighted that Vodafone is now launching VoLTE services in Karnataka with cities like Bangalore, Mysore & Belgaum and will soon extend it to other key cities. Vodafone VoLTE is a step further towards enhancing customer experience and enabling our customers in Karnataka to explore newer possibilities with their smart devices." Vodafone has deployed its VoLTE service in most of the circles with Vodafone 4G presence. The telecom operator launched its VoLTE service in Mumbai, Delhi-NCR, Gujarat, Rajasthan, West Bengal, Maharashtra and Goa, Haryana, Tamil Nadu and more recently in UP East and UP West. Meanwhile, the services will be extended across the country in a phased manner over the next couple of months. Earlier, the company had announced that it will launch its VoLTE service in 2018 and will cover most of the circles by Q2. Separately, Vodafone announced a low-priced prepaid recharge plan for Rs 21 that will offer one-hour of "truly unlimited" 4G data. The pack is aimed at Reliance Jio's Rs 19 prepaid recharge plan.